just spent a good 10 minutes and 23 seconds watching Pro-Lite racer RJ Anderson tearing up the dirt and making jumps that Evel Knievel would approve of with a modified 2014 Polaris RZR XP1000 UTV, dubbed the XP1K. 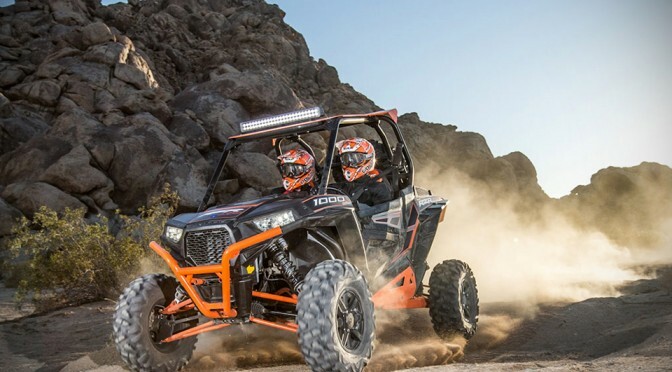 while we don’t expect ourselves to do what Anderson did, but it sure looks like the 2014 Polaris RZR XP1000 UTV would be a hell of an off-road ride. in any case, it sure beats you mundane daily commute between your suburban home and jam-pack city office in your Prius and could be a worthwhile stress-reliever if you are up to some serious off-road driving. 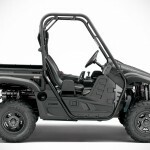 updated with a 999cc (1-liter) 4-stroke twin-cylinder engine with double overhead cam, the XP 1000 has 107 horses on the tap and an automatic gearbox to put those ponies to all four wheels (or two, if the situation calls for it), and can zip from zero to 50 mph (80 km/h) in 5.33 seconds. suspension comes in the form of Walker Evans Needle Shocks with full 16-inch of travel upfront and 18-inch at the back for a “near bottomless feel”, while stopping power is handled by four-wheel hydraulic disc brake system. 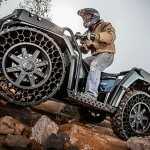 it has an impressive 13.5-inch (34.3 centimeters) of ground clearance, thanks in part to the massive 29-inch Maxxis Bighorn tires on its cast aluminum wheels. 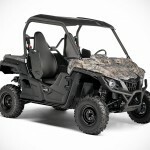 in case you don’t already know, this machine is a complete ride that comes with electronic power steering as standard, LED lights for illumination, and a suite of instrumentation. 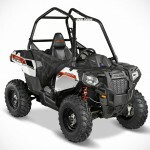 you can order the 2014 Polaris RZR XP 1000 UTV from three pre-configurations, including Dune, Desert, and Trail, or you could “start from scratch” and customize the base model with stuff like windshield, roofs, cab accessories et cetera. it’s your call. available now with a starting price tag of $19,999.